Patricia Mercurio is president of Bank of America in Missouri. In this role, she is responsible for coordinating and integrating all product and service capabilities for all lines of business in Missouri, ensuring the delivery of the full resources of the Bank of America to clients and communities across the state. She serves as the senior banking executive for community and civic activities in the market. In addition, she serves as the Missouri/Southern Illinois market executive for Middle Market Banking. A native of St. Louis, Mercurio joined Bank of America in 1984 and has held a variety of management and executive positions in Human Resources and Operations. She was named president of Bank of America in St. Louis in 2000 and was promoted to her current position in 2001. Mercurio has served on numerous boards including the Girls Scouts, Urban League, St. Louis Zoo, the St. Louis Children's Hospital board of trustees, the executive committee of the United Way board of directors and Civic Progress. As a member of the Greater St. Louis Economic Development Council at the RCGA, Mercurio works on downtown revitalization. She has visited SIUE as part of the Chancellor's Residence Program to speak with students about her career. 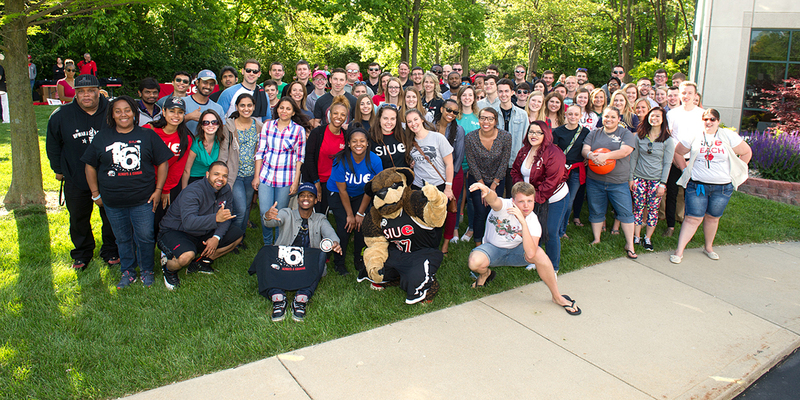 Mercurio is a member of the inaugural class of the SIUE Alumni Hall of Fame.